To ensure that the history of the Alamo Scouts is preserved, we invite anyone who had contact with or who has recollection of the Alamo Scouts during World War II, to come forward. 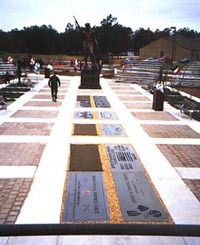 This includes former Alamo Scouts, family members, camp personnel who served at one of the six Alamo Scout Training Centers, Filipino guerrillas who operated with the Scouts, PT boat crews who inserted them on missions, and former POWs liberated by the Alamo Scouts, or by anyone who had contact with the them as a soldier or civilian. If you have Alamo Scouts memorabilia, recollections, or photographs contact us by mail or Email. 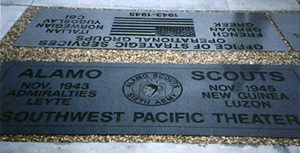 Or if you are a former Alamo Scout, a relative, or someone who knows an Alamo Scout, please write or Email us. Thank you for your part in the Posterity Project.